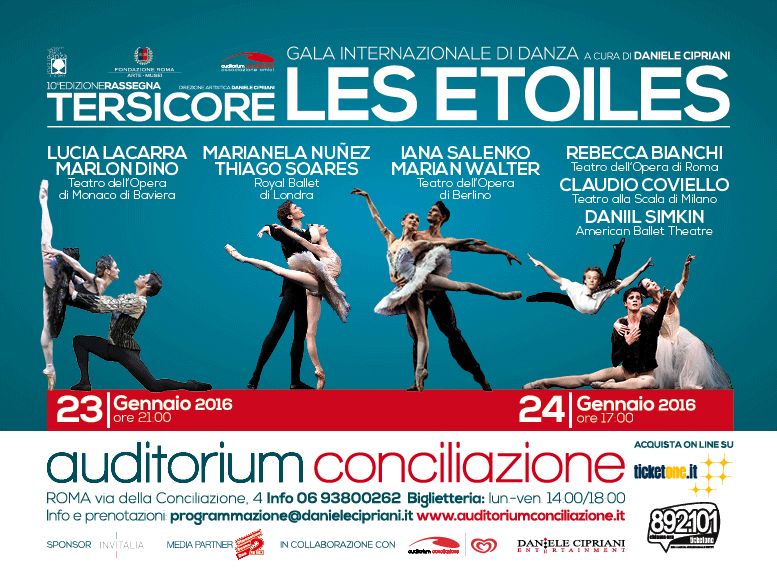 Repeating the success of last year’s ballet gala, Daniele Cipriani once again presents a Les Étoiles evening in Rome. Tonight and tomorrow night – 23 and 24 January – there is the opportunity to catch some of the world’s brightest stars at the Auditorium Conciliazione, just around the corner from the Vatican. The Royal Ballet’s Marianela Nuñez and Thiago Soares will perform the Black Swan pas de deux and the Grand Pas from Diamonds, the third act of George Balanchine’s Jewels. Lucia Lacarra and Marlon Dino from the Bavarian State Opera Ballet will present the White Swan, together with what is rapidly becoming their signature piece, Gerald Arpino’s bewitching Light Rain, with which they scored a huge success during the closing gala for the Milan Expo last year. Berlin State Ballet’s Iana Salenko is Kitri for Don Quixote with American Ballet Theatre’s Daniil Simkin, and then joins her husband and fellow Principal in Berlin, Marian Walter, for Le Corsaire. Simkin will also dance Ben Van Cauwenbergh’s Les Bourgeois, his party-piece and a guaranteed showstopper. 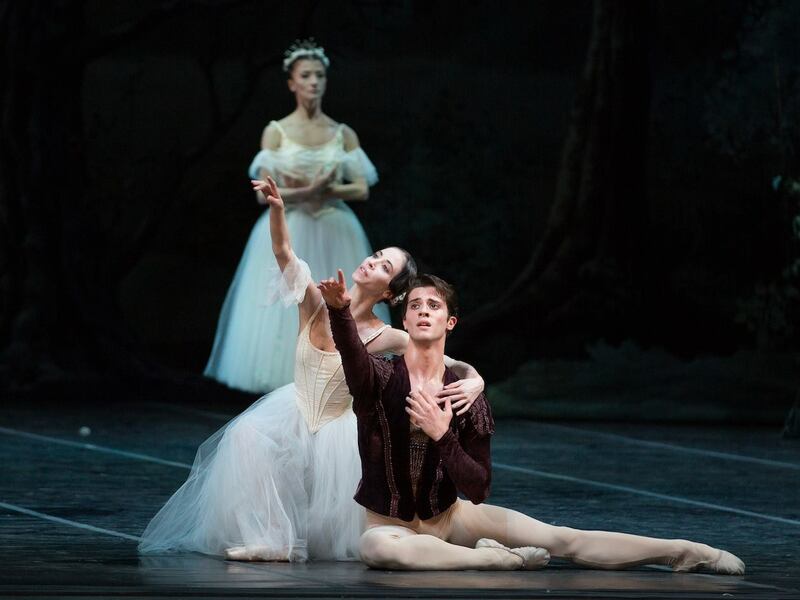 La Scala’s Claudio Coviello will join the new star of the Rome Opera Ballet, Rebecca Bianchi, for Giselle and also the balcony scene from Kenneth MacMillan’s Romeo and Juliet. If you’re in or near Rome this weekend, you can see the gala on Saturday 23rd at 9pm, and Sunday 24th at 5pm. Tickets can be booked online www.ticketone.it or via the Ticket One call centre 892 101. It looks like a husbands and wives gala!…..All the best. Purtroppo no Monica, sto poco bene! Sarà sicuramente molto bello! I so enjoyed Lacarra & Dino in the Milan Expo Gala!